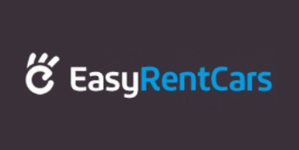 Invite Friends to EasyRentCars and You Both Get US$30 Coupons. Истекает 28 мар. 2024 г. 10-20% Off Australia Car Rentals Now. Start Your Travel Plan at EasyRentCars! Check out Today's Car Rental Deals and Save on Your Next Trip! Истекает 29 мар. 2024 г. 20% off Malaysia Car Rentals. Истекает 30 мар. 2024 г. Cash Back will not be awarded on bookings made from a mobile device. Cash Back will not be awarded on purchase and redemption of Gift Cards and E-Gift Cards. EasyRentCars.com is a trusted car hire online platform operated by Easy Tour International Limited. EasyRentCars.com is dedicated to making car hire online as easy as possible. Their experienced car hire specialists provide online services for car hire at over 200 countries, covering 60,000 locations worldwide. EasyRentCars.com has been helping over 5,000,000 customers find great car hire deals around the world!